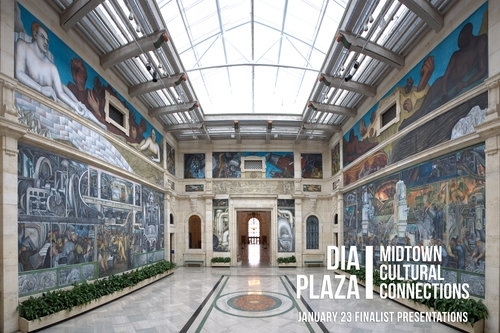 JCDA IN FINALIST PRESENATION - News - James Carpenter Design Associates Inc.
JCDA and Mikyoung Kim Design will be presenting their vision for the DIA Plaza Midtown Cultural Connections as a finalist in the three stage competition. The event is free and open to the public. Tickets can be acquired here. James Carpenter and Mikyoung Kim are presenting at 10:00am on Wednesday, January 23. All the presentations aretaking place in the Rivera Court.